Restlessness, poor academic performances and disruptive behaviours are some of the common problems faced by public school teachers as the number of at-risk youths grow. So what is at-risk youth? Generally, at-risk youth are simply youth who have higher risks of becoming social misfits or school dropouts due to factors like dysfunctional family or low socio-economic status. They are less likely to transition successfully into adulthood if no proper intervention is carried out. 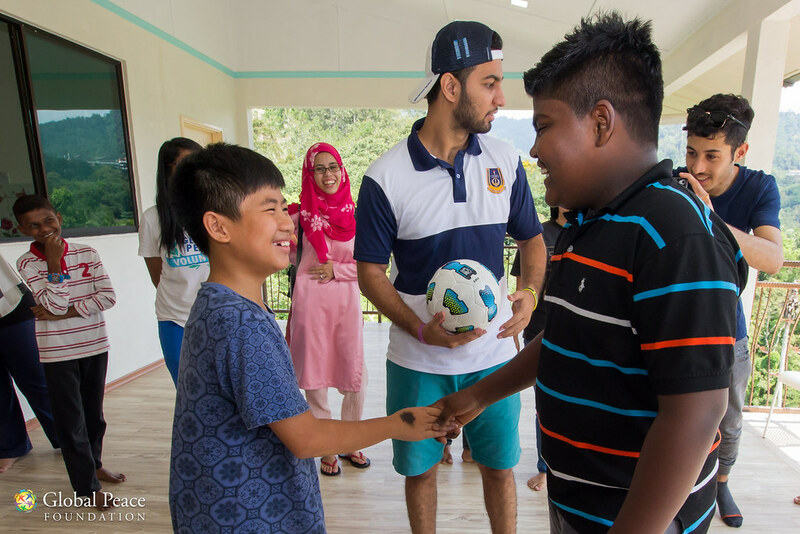 Global Peace Foundation Malaysia has been focusing on youth empowerment, in particular at-risk youth. The numbers of at-risk youth has increased in recent years as reported by teachers and schools. 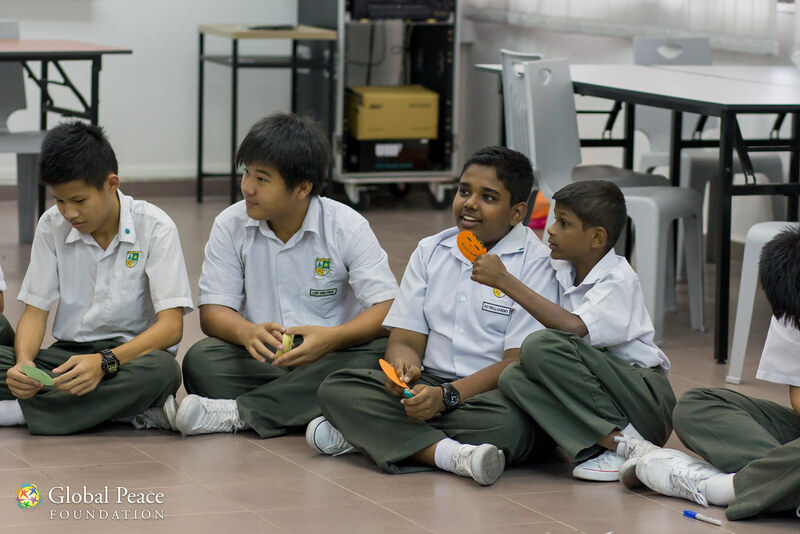 Our programme was a 6-month engagement with a group of at-risk youth from Bukit Bintang Boys School, working collaboratively with the teachers and principal of the school. When we first engaged with these boys in the school , the challenge was obvious. Getting the boys to follow instructions was extremely difficult and they were very restless. Dr Teh, CEO of Global Peace Malaysia, described “It was almost impossible to capture their attention longer than 2 minutes”. These boys would be consistently brought to the principal’s office for getting into trouble. Most of them came from either broken families or lower socio-economic statuses. Some of them face high level of stress due to bullying and having to worry about their next meal. A few of them even stay in orphanages, not necessarily because they lost both parents but rather their parents were not capable of taking care of them. Understanding where these boys came from was extremely important in our approach. These boys were mostly lacking in social and emotional development, and even less on cognitive stimulation. Our research on available literature helped us understand why these at-risk youth do not behave like other children. Under long term stress, lack of emotional care and without adequate cognitive stimulation, the brain cannot develop normally. It took a lot of patience to deal with the boys. While unmet social and emotional needs was one of the main factors we identified, there was another factor we observed which was less obvious: serious racial segregation. Overcoming racial segregation has also been a mission of Global Peace since the beginning. In a country as diverse as Malaysia, developing prejudices towards another race will lead them to be bad team players in the long run. They will not be able to collaborate or relate well with others, which are essential for successes in life. The 3-days Inside Out camp was the highlight of the 6-month engagement. 17 boys from Bukit Bintang Boys School participated in the camp. With proven educational researches, we utilised two key strategies: Social Emotional Learning and Educational Neuroscience. We wanted a holistic approach in dealing with the boys. 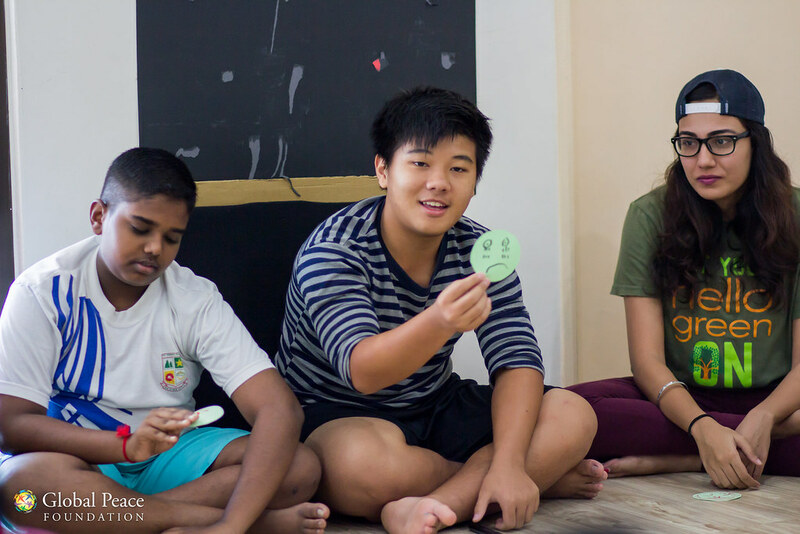 Before addressing any of their academic performances, we recognised that we have to address their social and emotional needs, and that was how the camp activities were designed. We had emotional check-in every day, which was done to encourage and help the boys get comfortable with talking about their emotions. It helped them develop self-awareness. Another extremely impactful activity on the 2nd day of the camp was called Heart-to-Heart. The boys were asked to draw out their life stories with colourful markers, which was surprisingly something they enjoyed and focused on. 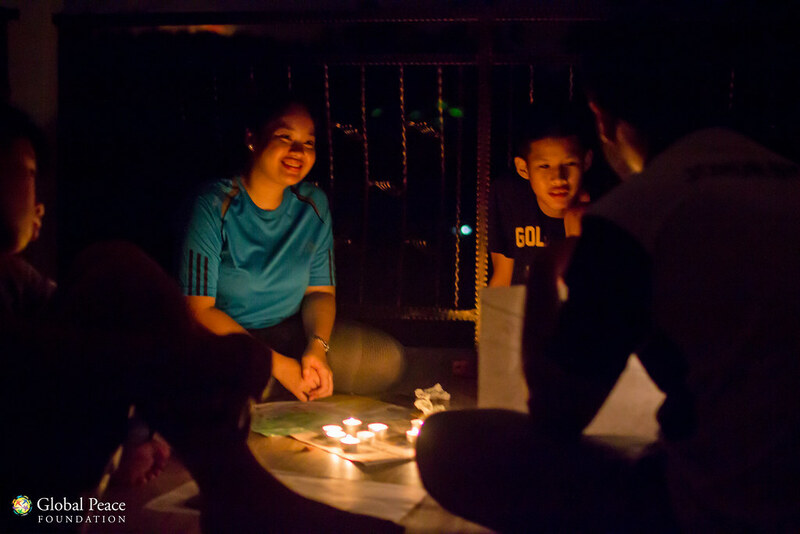 After telling their stories with drawings of rivers and houses, we got the boys to sit with their groups in circles, lighted some candles, switched off the lights, and with the guidance of a couple of facilitators, talked about their lives. Getting the boys to know each other at a deeper level was very important as it showed them that they were not alone in struggling with life or the only person from a certain background. As Dr Teh explained, “social emotional development of a child is connected to a sense of self-worth and what they think about themselves”. Heart-to-Heart made the boys feel good about themselves. Once the boys opened up their hearts, it was a lot easier to address their social and emotional needs. Relationships of trust started building among each other and with the facilitators, which was fundamental for changes to take place. It was definitely not an easy process. The facilitators engaged the boys in workshops before the camp and had to be extremely patient. However, once the barriers was broken down, the facilitators can act and be seen as role models to these boys. 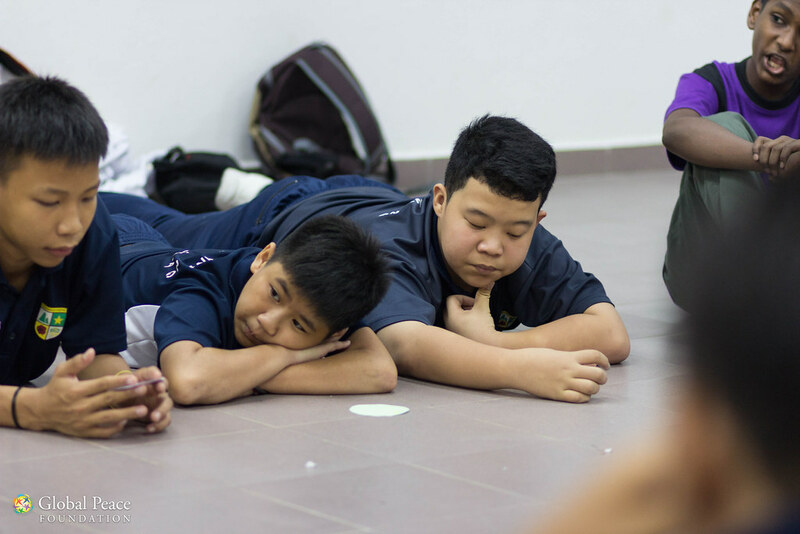 “When relationship take place, we realise we can influence them (the boys), we can tell them certain things that would carry a lot of influence to them”, Dr Teh said. Many of these boys did not have adult role models and lacked relationships with adults they can look up to. The bonding between the boys and the facilitators was extremely important for the social and emotional development of the boys. “(This) relationship is the one that would empower these boys because it is something very intrinsic when they trust you and they believe in what you say.” Dr Teh described. Although Inside Out was only 3 days and 2 nights, the changes we saw in the boys were significant. They were mingling around with each other regardless of race and they knew each other by name. The quieter boys started to be more involved and the restless boys became calmer. And these changes were also observed in the classrooms by their teachers. Boys who were never involved in the classrooms started to put up their hands for questions or answers. One month and a half after the camp, we met up with the school principal. She told us, since the camp, she did not received a single complaint about the boys.